Some of the most valued features in a browser are speed, simplicity and usability. 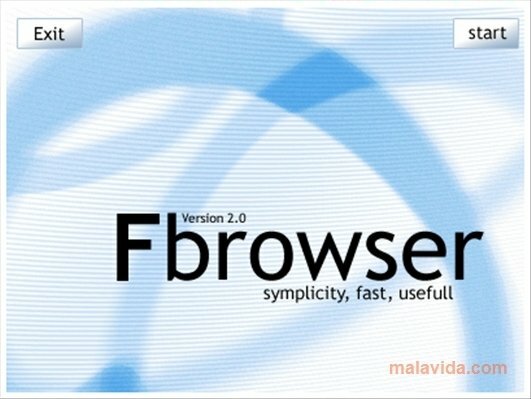 These are the main advantages found in FBrowser, an application thanks to which browsing the Internet is a really simple task. - Minimalistic interface, ideal for users without experience. 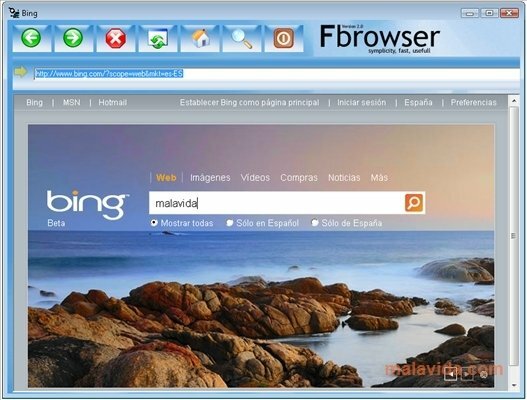 - Large area to view the webpages, due to the fact that there are hardly any menus. - Intuitive handling for users that are only just starting in the world of Internet. - Specific icon to carry out quick searches in Bing. 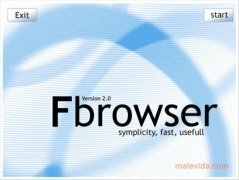 Unlike Internet Explorer, Chrome or Firefox, FBrowser doesn't include tab-based browsing or the possibility to install add-ons that increase its functionalities. It isn't even possible to store our bookmarks or favorites. However, thanks to its simplicity and low resource use, it's a great choice to be installed on computers with hardly any power.